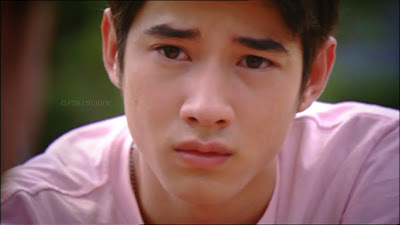 The other day, I watched another Mario Maurer film. Yes, in Thai. But of course, it has English subs! I won't dare watch a Thai film without any English subs in it. Haha! So there. I think, I like this movie better than The Love of Siam, which I was able to watch during the weekend. From the title itself, the movie is about friendship (hence, Friendship/เฟรนด์ชิพ เธอกับฉัน) between Singha (Mario Maurer) and Mituna. The movie started with Jazz' (high school friend) call to Singha (Mario Maurer) for a high school reunion especially for their class only. Then the reunion came, and all Singha remembers is about Mituna, his first and only love. Mario's character, Singha, is the typical guy classmate as for me--a bully, makulit, pasaway, laging napapagalitan ng mga teachers, maingay, magulo and kind of, pasaway. Mituna, a transferee and the daughter of a Director General, turned out to be the one Singha always teases. Some kind of the-more-you-hate-the-more-you-love thing. Again, another typical thing for high school students. Sooo puppy-love-ish. Hahaha. Being the usual bully he is, Singha always ended up hurting Mituna's feelings. She even called Mituna "mute", which is her weakness--since her mother became a deaf-mute due to the accident her family had; which eventually became the reason why her Dad left them. Singha's curiosity to Mituna eventually leads him to fall in love for her, though he didn't notice it at first. Singha's buddies were always there for him, most especially Lam, also a transferee. 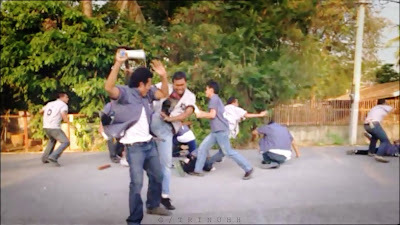 Even though he was just new at school, he helped Singha when he was being attacked by another bully at school, but this time, he was pointing a knife at Singha. Lam saved his life, which became the reason for the guy to eventually seek revenge to Lam. Singha loves the flower Marigold, because it was where her Mom got her name. He was then surprised to find out that Mituna loves Marigolds too! 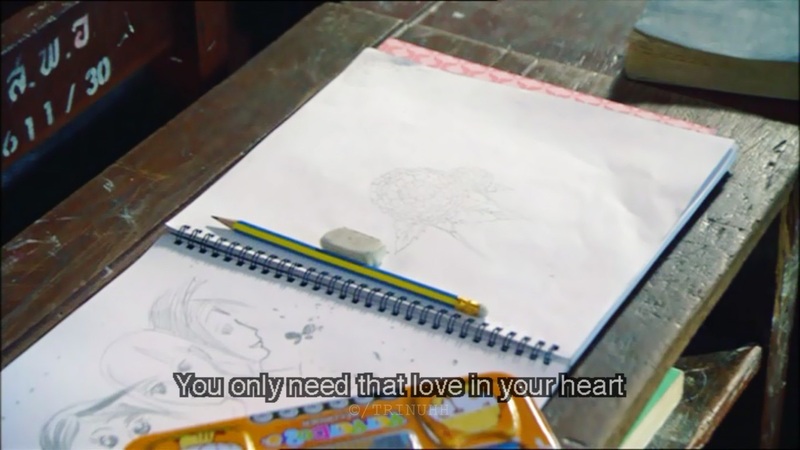 But Singha finds out the reason only after Mituna had died--that she liked it because she saw Singha give a Marigold to her Mom. On Mituna's first day in school, she saw her Mom fell down by the bus stop because of rude high school boys. Singha was there to help and then gave her Mom a Marigold. Mituna saw it, and it became the reason why Mituna likes Marigolds. Again, like the movie The Love of Siam, it was a bit slow on some parts of the movie at first. But it wasn't until it was on that part where Singha and Mituna were both starting to show their care for each other--that part where Lam was killed by the bad guy I've mentioned above, and that part where Mituna and her Mom were both asked by her Dad to move, thus leaving Singha behind. Mituna and her Mom were scheduled to move on the first day of their finals exam in their last year in high school. Mituna asked Singha to just focus on their exam and do good. They both agreed to meet before Mituna moves, but unfortunately, they weren't able to say their goodbyes to each other, and she wasn't able to give to Singha what she wrote for the friendship book. Until reunion came and Mituna did not show up to Singha nor their friends. when he found out that Mituna's mom is a mute. "It's the end. It's everything. It's happiness when you're together. through thick and thin, you'll never fear. Your heart suddenly lit up with hope. Being down and out, you can cope. You only need that love in your heart. When I have found you. I have found the greatest love of all. But true love lasts forever." and to protect her, Singha spread his arms around her.